Written by Flynt L. Leverett and Robert Sprinkle. 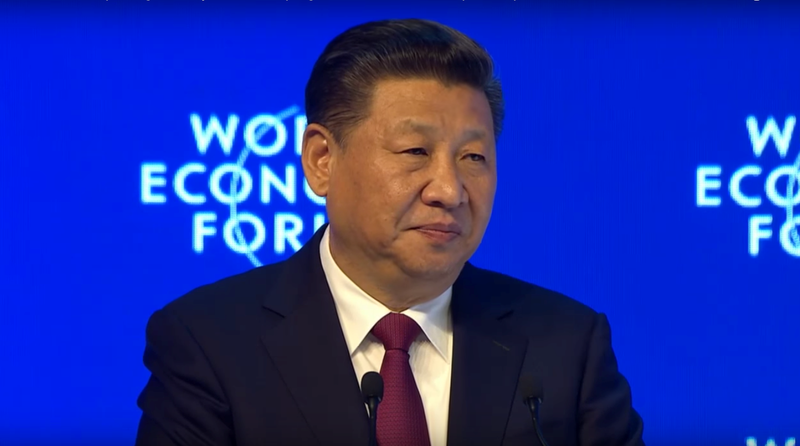 Chinese President Xi Jinping’s appearance at last week’s World Economic Forum shows global leadership is shifting, not drifting, toward Beijing. The most vigorous defense of globalization and multilateral cooperation was mounted not by an American statesman, but by the president of the People’s Republic of China. Climate change policy is one good example of this trend. Commentators warn that Trump’s pledge to withdraw the U.S. from the Paris climate agreement would let China “off the hook” for curbing carbon emissions. In fact, China put itself “on the hook” in Paris for reasons having little to do with the United States. China’s most urgent atmospheric problem is not carbon dioxide. It’s combustion toxicity from burning coal, oil and biomass. The Chinese these days don’t look through their air; they look at it. And what they see, they breathe. Combustion toxicity has degraded China’s air quality so much, by Chinese assessments, as to destroy 10 percent of GDP annually since the late 1980s and cause hundreds of thousands of premature deaths every year. And air pollution has become China’s single greatest cause of social unrest. In response, China is closing its old coal-fired power plants, and the new ones it’s building are much farther away from its prosperous and politically influential eastern cities. Other fossil-fueled industries are being put farther away, too. China has also contracted with Russia to buy huge amounts of natural gas, whose combustion emits lots of CO2 but not a lot of toxic air pollutants. These moves will expose fewer people, especially prosperous urban dwellers, to toxic air pollution. On their own, though, these moves will not do much to meet carbon targets and restrain warming. In an even better bet to clear its air, China is moving to add more nuclear, hydroelectric, solar and wind turbine generating capacity. Greenpeace estimates that during every hour of every day in 2015, China on average installed more than one new wind turbine, and enough solar panels to cover a soccer field. China is already the world’s leading producer of renewable energy technologies. More remarkably, it is also the leading consumer. And in January, it announced plans to invest an additional US$360 billion in renewable power between now and 2020. That’s $120 billion a year. These renewable power measures are being taken to fight China’s number one problem – air pollution – but they will also automatically cut China’s carbon emissions. If it can manage political rivalries among local power companies and upgrade its electrical grid to handle all that solar and wind capacity, then China is likely to meet its Paris commitments earlier than currently required. Defecting from Paris would not help China address its air pollution problem. Defection would, however, reinforce the presumption that U.S. leadership is indispensable – a presumption Beijing is loath to perpetuate. A savvier and more probable move is for China to assert – for the first time on a major global issue – moral authority. Chinese diplomats are already reassuring the world that China will keep and even expand its climate commitments. This message conveys Beijing’s resolve not to let to let multilateral greenhouse gas mitigation collapse, and show the way out of a crisis whose agreed solution is threatened by others’ malfeasance. If sustained, such action will mark a critical inflection point in China’s global role. It will become less a challenger to an established order, and more a champion of a common cause. The United States will risk being regarded as aloof and unreliable and, following its 2016 election, even politically unstable. Likewise, Beijing is asserting greater leadership in other areas once led by Washington. With the demise of the Trans-Pacific Partnership, which Washington negotiated with 11 Asian countries excluding China, Beijing is promoting its own Pacific trade-and-investment framework excluding the United States. Even more grandly, Xi is articulating an alternative vision for global economic growth. The model focuses on physical investment, especially in transportation and IT infrastructure. In this, it is linked to the new Silk Road project, through which China is expanding linkages across Eurasia by integrating railways, ports and information networks into transnational corridors. The Chinese approach also does not rely on portfolio investment and central banks exertions to drive growth – a sharp contrast to Western policies. Ceding global moral authority to China would be a high price for America to pay for the pleasures of political posturing. Yet a China leading by example would have a greater stake in its own reputation, and the greater that stake becomes the more engaged China becomes. Such a China, we believe, could profoundly benefit the world. Flynt L. Leverett is a Professor of International Affairs and Asian Studies at Pennsylvania State University. Robert Sprinkle is an Associate Professor of Public Policy at University of Maryland. This article was first published on The Conversation and can be found here. Image credit: Screencap/Youtube.